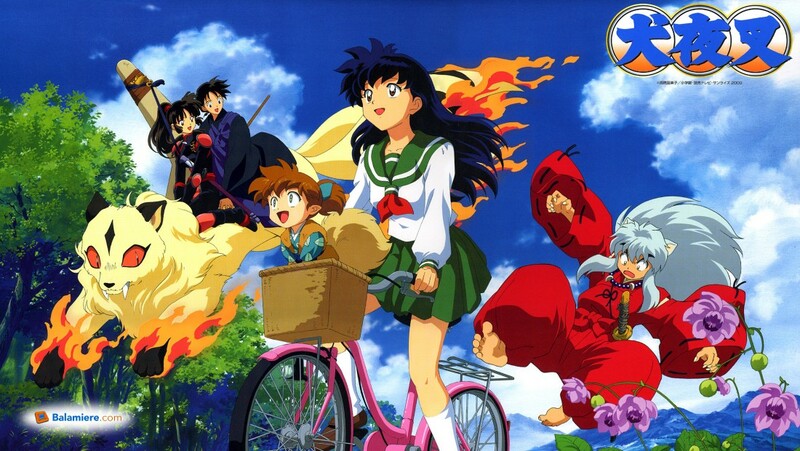 Higurashi Kagome, and ordinary junior high school student, accidentally traveled into feudal era through an old well. She met Inuyasha, a half-demon, sealed by an arrow on a tree. The Shikon no Tama, a cursed jewel sealed by a miko named Kikyou 50 years ago, once again brought into the feudal era by Kagome. Shikon no Tama is a jewel of pure and evil. If anyone with evil heart hold it, his power will increase greatly, but the jewel will corrupt his heart and make him lose himself. Only a miko with pure heart and strong spiritual power can purify the jewel. Many youkai (demons) are trying to get the Shikon no Tama. When a bird youkai flies with the jewel, Kagome shoot the bird with an arrow and broke the jewel into hundred pieces. The journey begin with Inuyasha and Kagome trying the gather the pieces of Shikon no Tama. 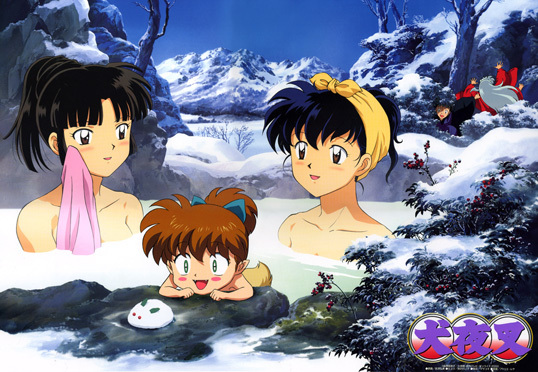 Later, a fox demon named Shippo, a monk named Miroku, and a youkai taijiya (demon exterminator) named Sango join their adventure. 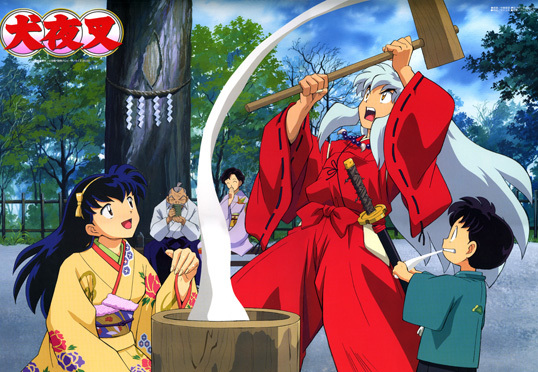 An evil demon named Naraku is behind the tragedy 50 years ago when Inuyasha and Kikyou misunderstood each other. 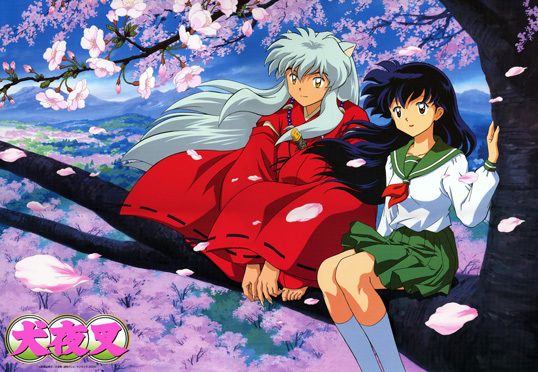 This is the reason of Kikyou’s death and Inuyasha is being sealed on a tree. 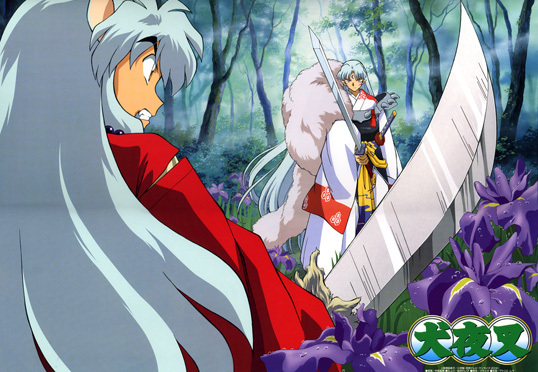 Together, Inuyasha and his friends traveled through many places and defeat countless youkai to kill Naraku and search for the Shikon no Tama pieces. i love INUYASHA INUYASHA AND KAGOME FOREVER…..